Here’s all you need to know about the variety of new and returning hit TV shows arriving to FOX SHOWCASE this April. 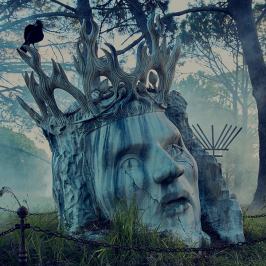 The epic six-episode finale season of HBO’s global television phenomenon transports viewers back to the fantasy continents of Westeros and Essos, where summers can span decades and winters can last a lifetime. Over the past seven seasons, Game of Thrones has become a cultural icon, attracting record viewers and critical acclaim worldwide. The series garnered nine wins at the 2018 Primetime Emmy Awards, including Outstanding Drama Series, and the show stands as the most Emmy-winning primetime scripted series ever with a record 47 awards. 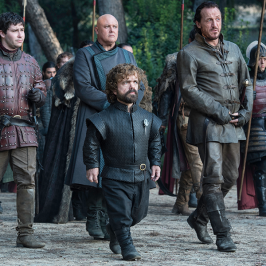 Thronecast: War Room – As the minutes tick down to 8th and final season of Game of Thrones, Sue Perkins and her military advisors analyse the state of play in this one-off special, and get the Viewers battle ready. Sue will be joined by celebrity superfans as they discuss their theories for the epic conclusion of their favourite show. 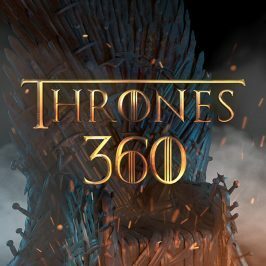 Thronecast: Season 8 – Sue Perkins is joined by special guests to review the last of the latest episodes of Game of Thrones. On Monday April 15 at 9.30pm, the series will transform in to a live aftershow, Thrones 360: LIVE, filmed in front of a live studio audience and immediately following the broadcast of each new episode of Game of Thrones. 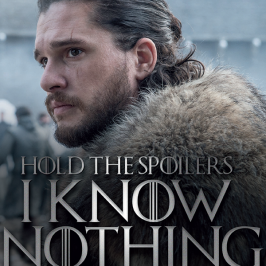 Each week, James and Stephanie will invite celebrity guests and GoT experts in to the studio to help them analyse that day’s Game of Thrones episode, by discussing key plot details and moments the audience may have missed and speculating on future storylines. What We Do in the Shadows, Premiers Tuesday April 2 at 8.30pm, with a new episode available to stream or watch weekly. Veep: Series Synopsis – Final season of the award-winning comedy series starring Emmy® winner Julia Louis-Dreyfus as Selina Meyer, the former Veep and one time President who’s looking to get back to the Oval Office as she runs for President, again. Veep The Final Season, Premiers Tuesday April 2 from 7.30pm, with a new episode available to stream or watch weekly. Barry: Series Synopsis – Bill Hader and Henry Winkler reprise their Emmy® winning roles in HBO’s dark comedy series about a depressed war vet-turned hitman who finds passion and romance in a local acting class while on a job in LA. In season two, Barry struggles mightily to focus exclusively on the theatre and his girlfriend / classmate Sally, hoping against hope to rid himself of the ties that bind him to a Chechen mob group now led by NoHo Hank, who ascended to the top job after Barry whacked his boss last season. Barry Season 2, Premiers Tuesday April 2 from 7.30pm, with a new episode available to stream or watch weekly. The hit drama series returns in 2019 with an irresistible story line filled with more action and heart pounding suspense than ever before. We find the Section 20 team running a deadly gauntlet between Russian operatives, a ruthless Malaysian gang, and a slew of terrorists – all in search of a coveted “package” lost at sea. 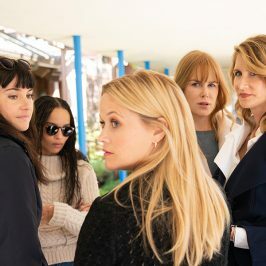 This is the story of Sam Fox, a single mother and working actor with no filter, raising her three daughters Max, Frankie and Duke in Los Angeles. Whether she’s struggling to keep her daughters close or trying to push one of them out of the nest, Sam approaches every challenge with fierce love, raw honesty and humour. At the end of the day, Sam’s just trying to earn a living, navigate her daughter’s changing lives, survive her family, have fun with a friend or two, and also – just maybe – squeeze in some private time. 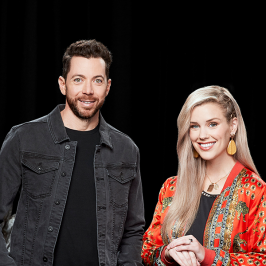 Tuesdays at 9pm, with a new episode available to stream or watch weekly. BROUGHT TO YOU BY NEXT-GEN MAZDA3. DRIVING IS BELIEVING. Do you believe a car can be built for your heart and your head? After one drive you will. Next-Gen Mazda3 takes every element of design, performance and technology to an all new level of sophistication and style. Driving is believing you’re experiencing something truly special with Next-Gen Mazda3.